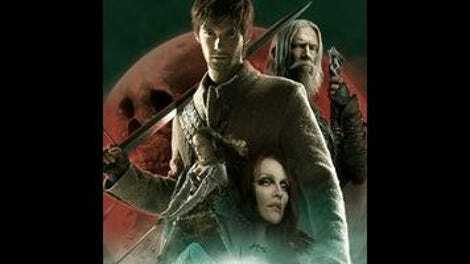 Seventh Son is brisk and unpretentious, though the fact that these two qualities can be considered remarkable probably says more about the state of modern genre filmmaking than it does about the movie itself. Directed by the reliably competent Sergei Bodrov (Prisoner Of The Mountains, Mongol: The Rise Of Genghis Khan) and set in a prefab medieval world of millwheels and CGI fire, the long-shelved fantasy flick stars Jeff Bridges as Master Gregory, a gruff witch-hunter trying to take down a stylish witch queen (Julianne Moore) and her band of shape-shifting sorcerers with the help of his bland apprentice, Tom (Ben Barnes). As Gregory, Bridges inflates his cheeks, pushes out his lower jaw into a severe Habsburg underbite, and keeps his lips pursed at all times, as though his handlebar mustache and chin puff beard were drawstrings pulled tight. He cuts an imposing, off-putting medieval figure, alternately barking and mushing his dialogue. 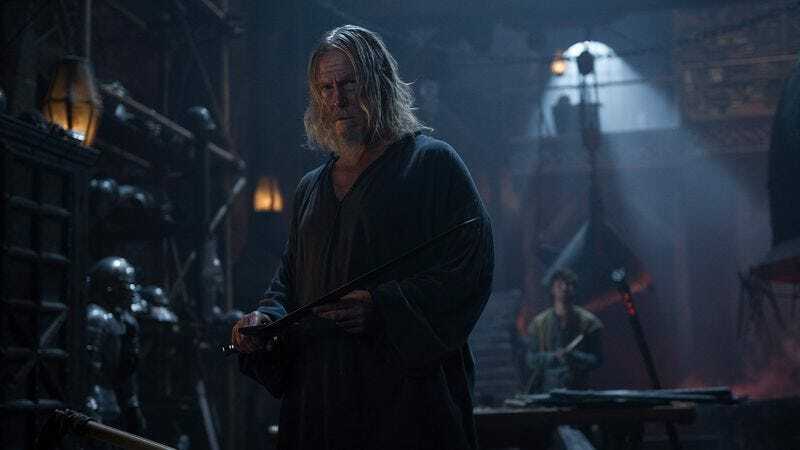 In short, he’s the single oddest, most interesting thing about Seventh Son, which features one of those generic, fate-of-the-world battles of good vs. evil that seem to happen whenever wizards and amulets are involved. There’s something about a once-a-century red moon and a fallen order of knights—all seventh sons of seventh sons, as are Master Gregory and Tom—but, frankly, the movie could be about anything. There are little flashes of life, all courtesy of Bridges’ Master Gregory, many involving his tendency to rattle off information about the assorted supernatural dangers that inhabit his universe. (Ghasts are fragments of ghosts, for instance, and will go away if ignored.) If there’s a reason why these little tidbits feel so tantalizing, it’s because they’re the only moments in the film that actively engage the viewer’s imagination, asking them to accept or visualize the workings of an unseen world.